If you’re like many audiophiles, you've run the gamut of system tweaks to make your digital rig sound more, dare we say it… analog-like. But the ultimate goal of the best attributes of analog, combined with the best of digital has been fleeting, at best. At worst… a mirage that teases you. Until now. The glow draws you in, but it's the performance that captures you. "NOW my digital sounds so damned good, I can listen critically, and I don’t need to put on vinyl to get the same experience… "
For music, you can expect an absence of the ‘digital glaze’ and edginess that often creeps into even the best digital audio systems. Instead, you’ll hear an effortless, organic presentation with more depth and a more intimate 'human’ quality to it. You'll enjoy extended listening sessions, free from listening fatigue, and you'll be more comfortable at a wider range of volume levels. Expect to be engaged with the music… not left searching for it. 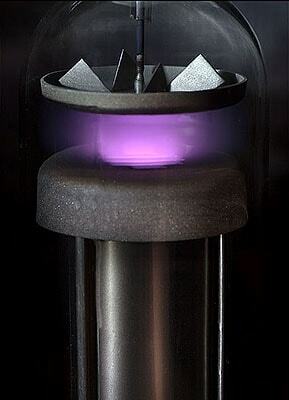 Users have also marveled at the effect the Plasmatron has in their home theater. This is not surprising, since virtually everything in the home theater chain uses digital processors. 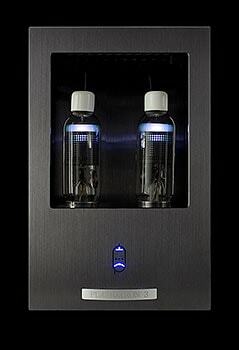 In fact, during a blind test, the Plasmatron allowed an older carousel player to equal or best the performance of one of the best BluRay players on the market… The difference when plugging the top of the line player into the Plasmatron was also dramatic, and instantly recognized. Better colors, better clarity, and more ‘3D-like’. "The picture quality is just stunning. 99% of Home Theatre gear is solid state and can be....well....solid state sounding. That ever present edge and lack of body. The PT gives or allows the body to be present even with SS Components." "I have never heard any of my prized records sound better. The sound contains more of the micro detail that is in the grooves of the record. 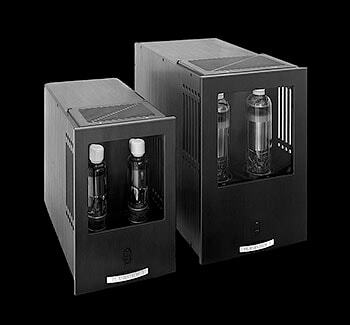 I can never go back and listen without the Plasmatron in my system." While our focus has been on raising the performance of digital sources, the Plasmatron can also make a significant difference in analog rigs. In fact the very first Plasmatron prototype was developed with an ultra high-end analog rig, by a devoted vinyl afficionado. It was only AFTER we tried with digital components in later testing, that this ‘game changer’ effect on digital was realized. The Plasmatron is an AC delivery device that uses Thyratron tubes. First developed in the 1920's, Thyratron tubes are essentially gas controlled rectifiers. Different from typical vacuum tubes, gas-filled Thyratrons are capable of handling much higher current than their vacuum tube cousins, and this is one of the key attributes to their usage in the Plasmatron. The stunning blue plasma glow is created by ionized, xenon gas. The Plasmatron provides a more linear voltage output by adding negative resistance to the power line source impedance. But that’s ‘EE-speak’... What that really means is: the voltage supplied by the Plasmatron won’t drop. In fact, it can actually go up, when the load is increased. Need more. Get more. The Plasmatron is an AC power supply for source components. It is not a power conditioner. It is not a spike or surge suppressor. It is not a battery back-up. It is not a power regenerator. If your situation requires circuit protection, we recommend plugging-in the Plasmatron downstream of your preferred protection device. That way it will also be protected. The Plasmatron may be used in conjunction with power filters and conditioners. It can improve their performance, too. Thyratrons are N.O.S. (New Old Stock) tubes. We don’t mean to curtail your urge to tweak, but because of the circuit design, there is little to be gained from 'tube rolling'. In fact we discourage it, because optimum performance depends on matching the tubes to tight tolerances. We engineered and built our own testing equipment to accomplish this task for you. Unfortunately, most types of thyratrons were replaced by thyristors years ago, and suitable supplies are limited. We are projecting tube life to be about 10,000 hours. To protect your investment, when you buy your unit, we put an extra matched pair into our vault, and will make this pair available to you if/when you need to replace (at additional cost). Just like vacuum tubes, Thyratrons can get hot. In order to protect against curious children or pets, the front of the Plasmatron has a protective glass 'window', and the tube compartment is secured with small slotted screws. We tweaked, so you don’t have to. Furutech’s pure copper GTX Rhodium duplexes and FI-09 Copper & Rhodium IEC inlets. Single, solid-core copper point-to-point wiring using silver solder. Z11 grade (M6 equivalent) filament transformer core material. 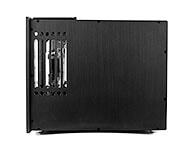 6061 aluminum chassis and case. 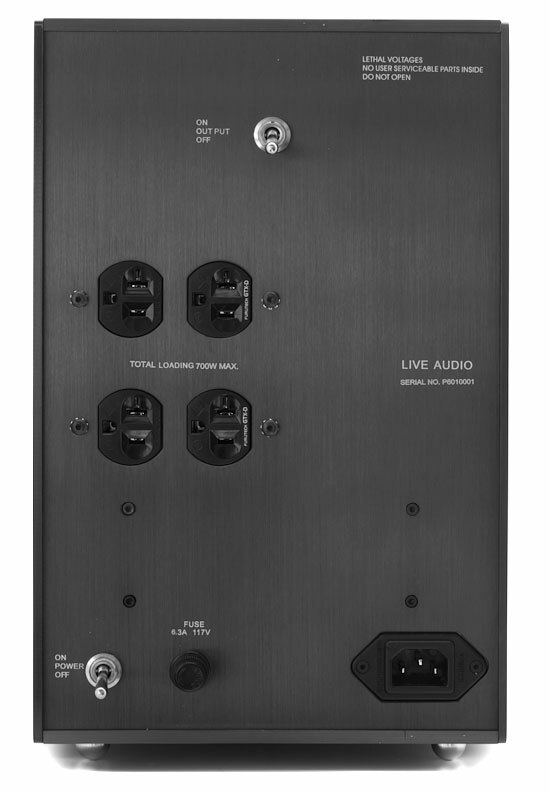 "It's one of the most significant pieces of audio gear I have added to my system in quite some time. I have spent 5 times what the Plasmatron cost and not had the musical quality and satisfaction that I have currently. " The Plasmatron 3 and Plasmatron 6 use different tubes, but they are designed, spec’d and built to be identical in all other respects. We build the Plasmatron in two sizes so that you can choose the appropriate unit for your system. 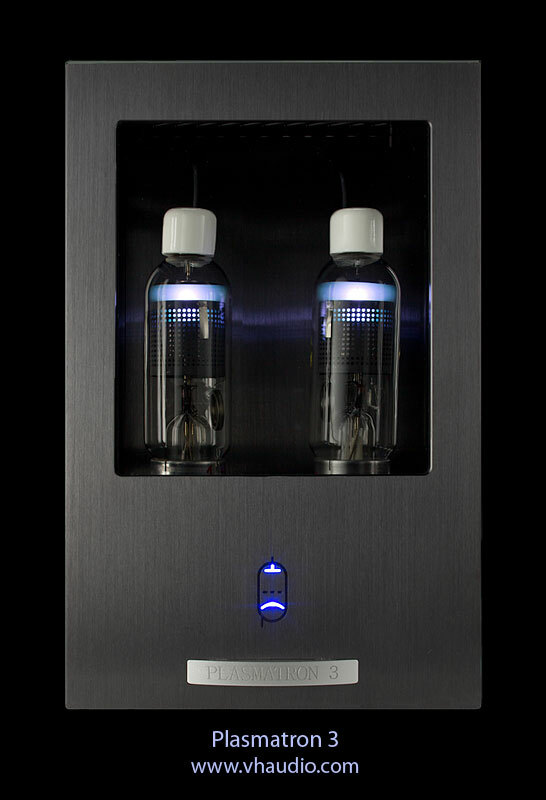 The Plasmatron 3 supplies 3 amps (330W@110v) to 2 Furutech GTX-Rhodium AC duplex receptacles. 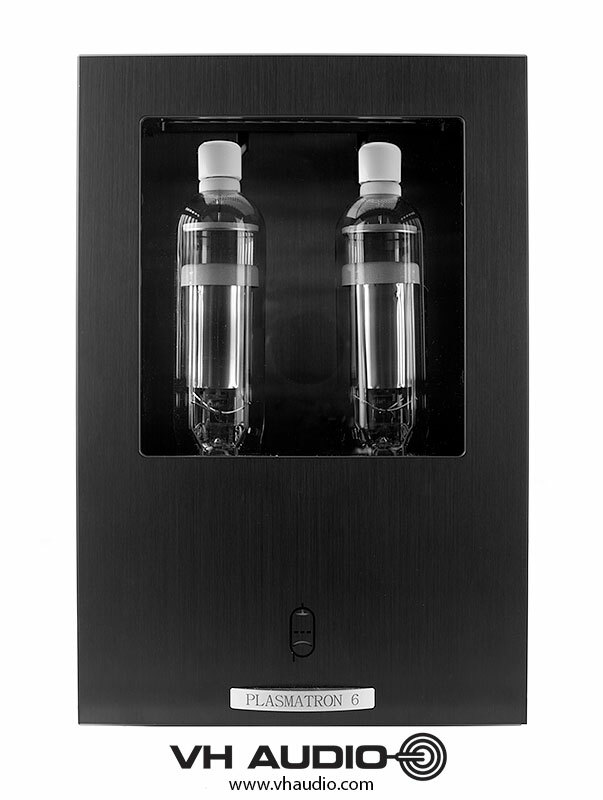 The Plasmatron 6 supplies 6 amps (660W@110v) to 2 Furutech GTX-Rhodium AC duplex receptacles. A manual bypass switch so that you can deactivate the tubes, while still providing AC for components that need to be powered on 24/7. A 15A Furutech FI-09 Rhodium 15A IEC inlet. 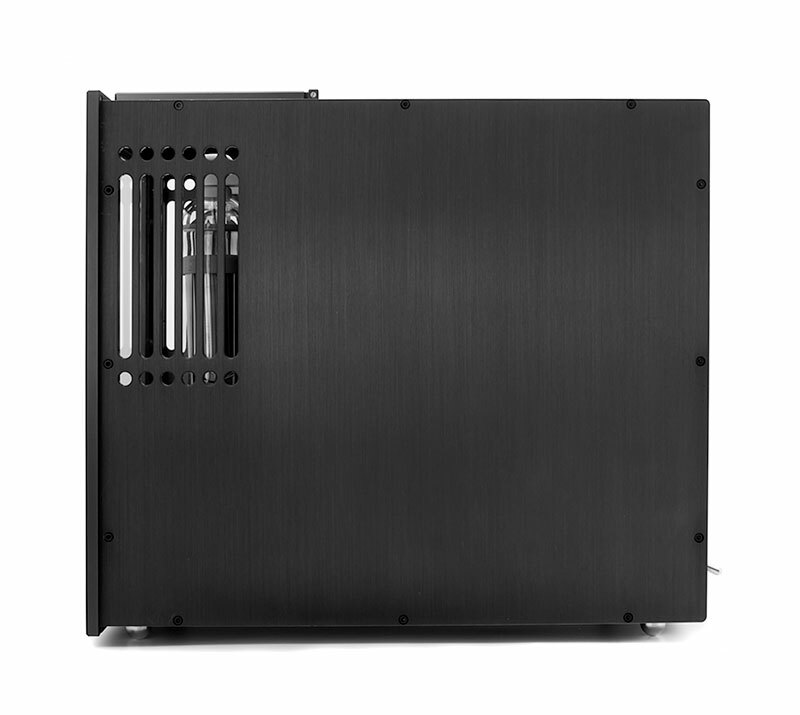 For small and medium systems that use less than 330W, we recommend the Plasmatron 3. 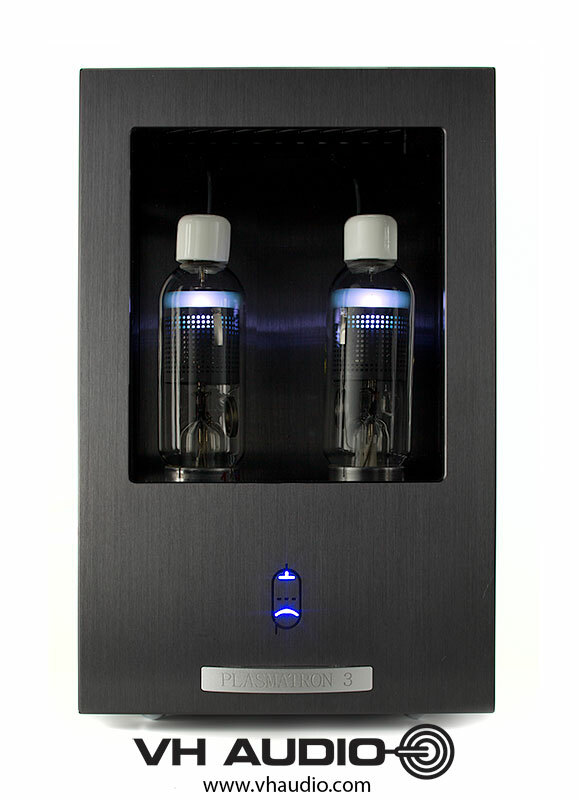 The Plasmatron 3 supports a 3-amp load. 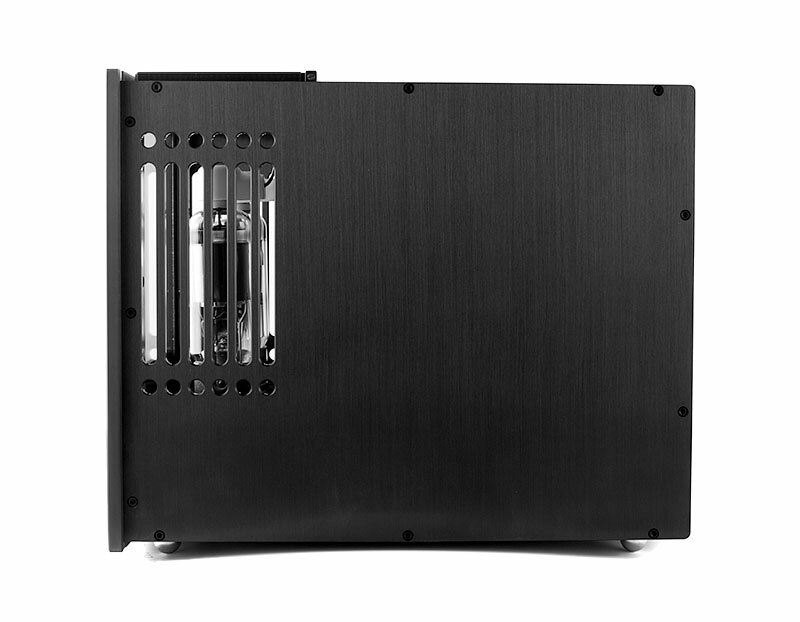 Plenty for your Mac Mini, a DAC, a Blu-ray player, and most preamps or phono stages. 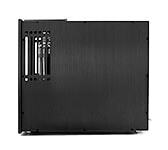 For large systems that use less than 660W, or for "room to grow" there is the Plasmatron 6. . The Plasmatron 6 supports a 6-amp load. 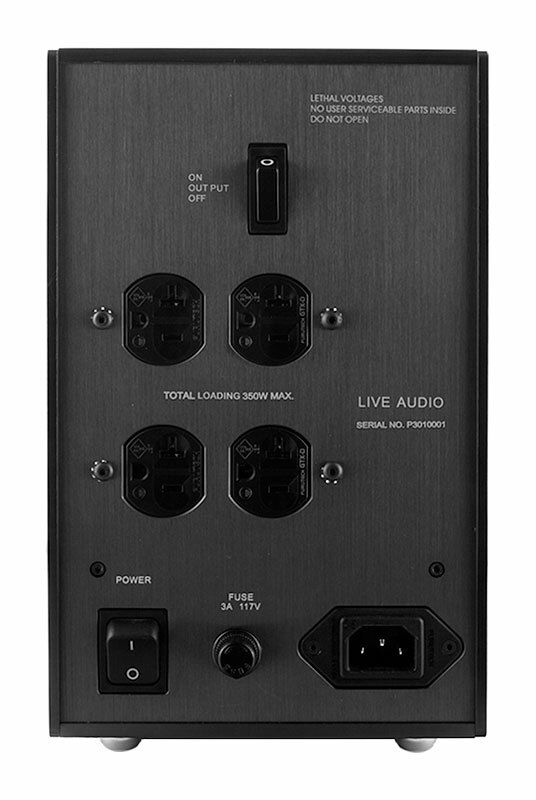 Enough to add your big screen TV or projector plus other source components. Both the PT-3 and the PT-6 are available in a black anodized finish, with silver "Plasmatron" badge. Combined with the hypnotic, cool blue plasma of the two glowing thyratrons, “WAF” surely won’t be an issue, no matter what color you choose! None of our stealth testers were willing to return their Plasmatron. Not one. "The Plasmatron has added a more organic sound to the digital side. It also has added more depth and fullness to the instruments and voices. I cannot imagine not having the Plasmatron in my system." We refer to these early testers as our "stealth team" because we asked them to keep 'mum' until we completed this longer-term evaluation. The Plasmatron 3 and Plasmatron 6. 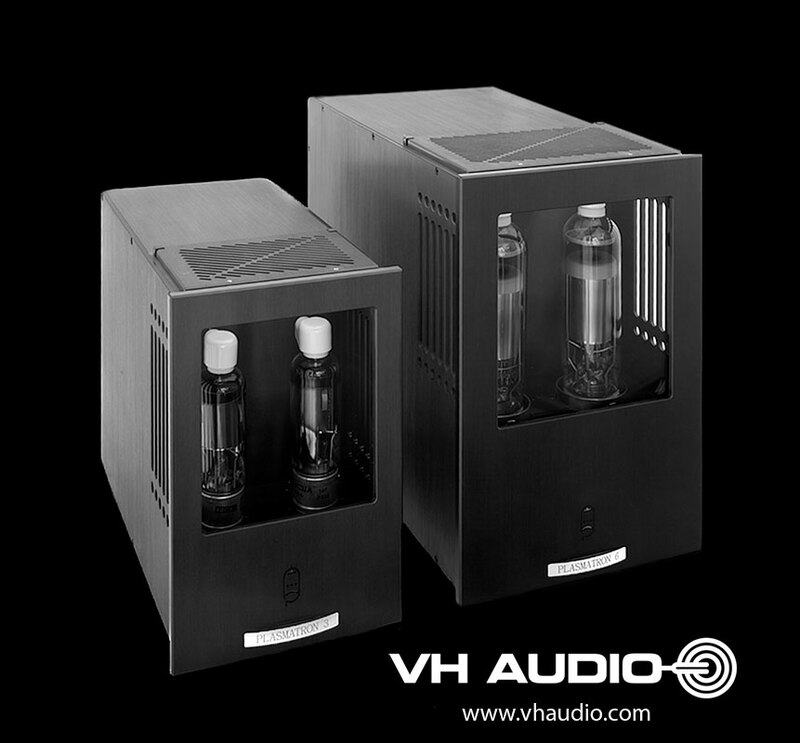 Shipping worldwide, and available exclusively from VH Audio. Parts and labor for two years, excluding the tubes.